I have long toyed with the idea of contributing my thoughts to the online knitting community. For many reasons, I never actually followed through with it before now. My status as a hit-or-miss knitter and my closeted lack of project monogamy held me back. Ultimately, my newfound desire to clog the internet with my musings found its basis in the motivational power of guilt. The guilt coming from a responsibility owed to you, the casual reader, to follow through and get things done. Like any true blossoming knitter, I am drowning in projects. Every time I walk into my LYS (which is often) I walk out with lofty goals and more yarn. Currently I have a whopping 67 pretties waiting for my love and attention, 14 of which are currently on the needles (I'll introduce you to those later). It is my hope that the pressure to produce fodder for this charming little side-project will have one important side effect: hold me accountable to the stash. 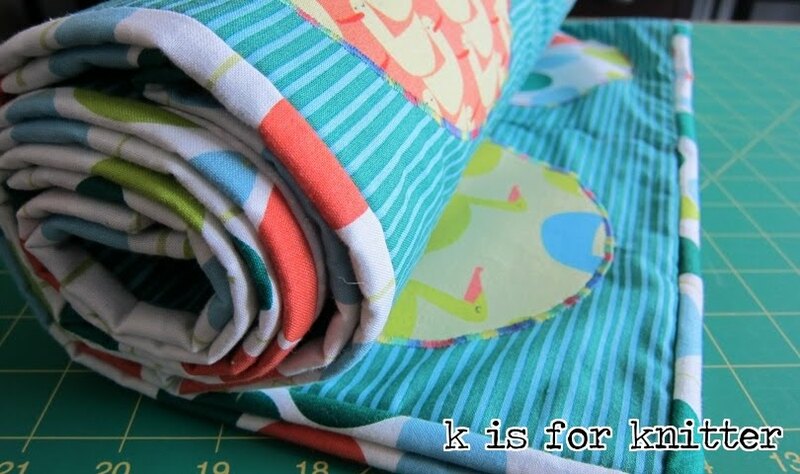 The blog, the perfect why-didn't-I-think-of-this-before blog, will be the solution to my knitterly ways (don't laugh). A solution that will force me to accumulate less yarn and start whittling down The List before I begin to adopt the Yarn Harlot's patented nook and cranny stash storage strategy and stop having room for things like groceries in my kitchen cupboards. 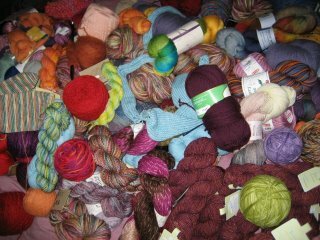 In the belly of the beast: a sampling of the yarn stash. It's both depressing and exciting that all of these gorgeous skeins sit waiting for their turn. We'll save the fiber stash for another day when I can collect the necessary courage. Posted by Amanda at 5:16 p.m.